Temecula, CALIFORNIA / October 20, 2014 — Quicksilver Aeronautics is especially pleased to report the sale of a Special Light-Sport Aircraft, the Sport S2SE, to a different sort of customer, a war hero. Any aircraft delivery is satisfying to a producer but this one deserves extra attention. Quicksilver Aeronautics chose to let Aguila tell his own story. 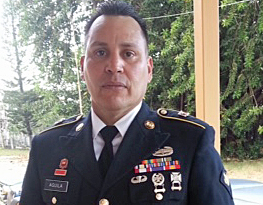 “My name is Jimmy A. Aguila, a former paratrooper with the 82nd Airborne Division and a Gulf war veteran,” Aguila began. 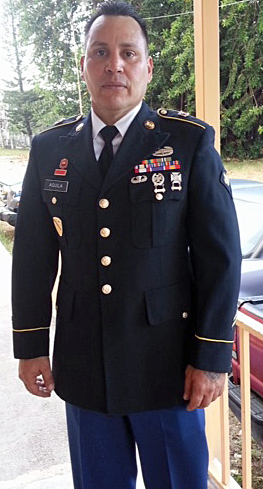 “After my time in active duty I returned to my home in Puerto Rico and worked with the Puerto Rico electric power authority as a power lineman. When 9/11 happened I felt the need to return to duty and defend our nation. I enlisted in 2003 and three years later, I was patrolling the streets of Bagdad in search of IEDs or Improvised Explosive Devices. “During my tour of duty I turned 40 and was having mixed feelings that day but all was good as I experienced no IED attacks or ambushes.” Then things changed. “Two days later we encountered several IEDs. While we where in process of eliminating them one of them exploded. Luckily, only our robot suffered so we had to deploy another. I was very uneasy because the more time you spend working to disarm an IED is time the enemy has to set up an ambush. “After a while we eliminated the threat and continued our mission. That’s when another IED went off right next to my vehicle. I was a gunner and was blown unconscious. I had first degree burns on my face. After a while I recovered and was taken to the aid station and later released. A month later I was hit again, suffering a concussion. “After returning back to the US, I was awarded the Purple Heart. I retired in 2009 and had back surgery to insert a rod to hold my spine together and to have my bicep muscle anchored back in place. Being diagnosed with PTSD and a mild traumatic brain injury I was very scared. I needed to feel whole again, so I decided to take up flying a childhood dream. “I set my goals a with the help of my flight Instructor Mr. Gerardo Torres. I started flying Tecnams, Piper Cubs and even a few Cessna aircraft along the way. Yet it wasn’t until I flew my friend’s Quicksilver that I experienced a totally different kind of flying. Unlike the other models, the open cockpit made me feel like I was free. I could feel the wind, smell the ocean, and see dew in the fields on early morning flights. “It has help me a lot, giving me the encouragement to continue thriving for a better future. “Today I'm a Sport Pilot and working on my CFI-S and I will soon be a proud owner of a Quicksilver SLSA in which I want to take up my brothers-in-arms so they, too, can benefit from the healing of the soul, as I like to call it, using the power of flight! I would Like to thank Will Escutia for working with me to achieve my dreams. I’m not much of a writer but I hope this will encourage more veterans to take up flight, especially on a Quicksilver,” concluded Aguila. 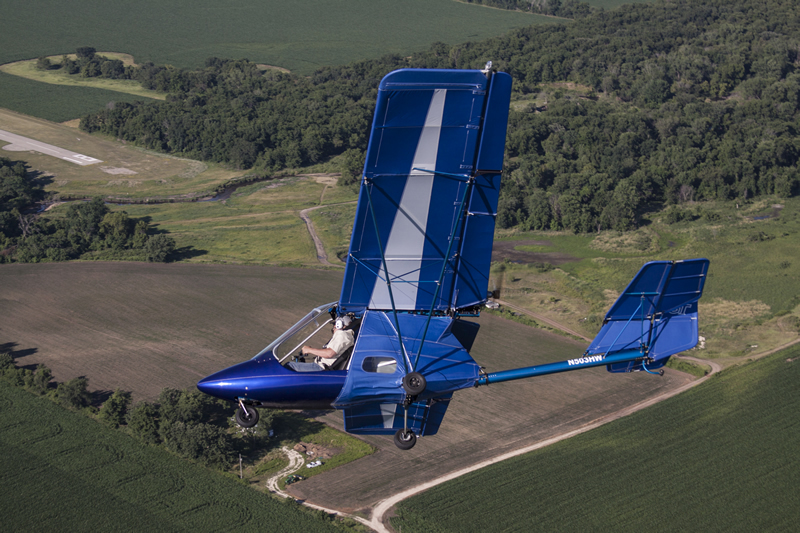 Quicksilver Aeronautics, under new ownership since 2012, is the most prolific builder of light aircraft kits in the world, with more than 15,000 units flying. Quicksilver builds the MX series including the Sprint, Sprint II, Sport, Sport II, Sport 2S and the GT series including the single seat GT 400 and the two place GT 500. 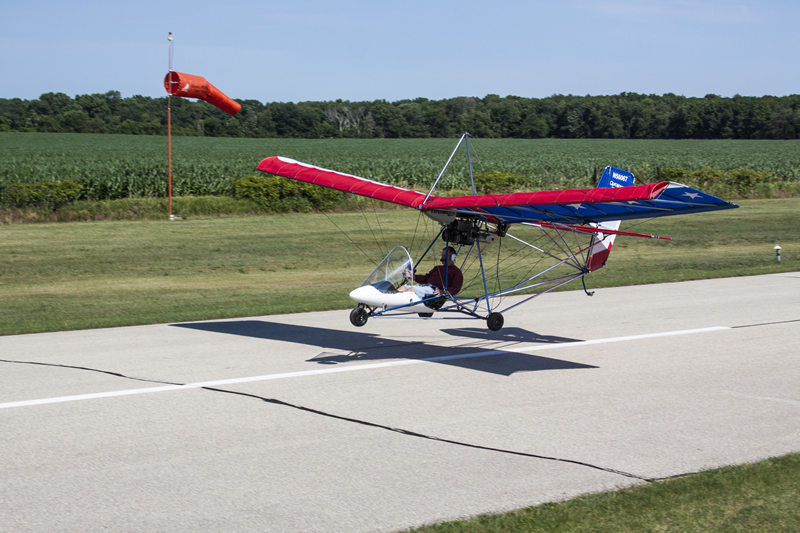 All aircraft models have successfully been included on FAA’s approved-kit list. The GT 500 was the first aircraft approved by FAA under the Primary Aircraft category (1993) and the Sport S2SE was approved in June 2014 as a Special LSA. Work is underway to gain FAA acceptance of the GT 500 as SLSA. Quicksilver has dealers throughout the USA and the world with thousands flying in nearly 100 countries. The brand has an enviably good safety record owing significantly to exceptional ease of flight, thorough engineering, and long experience dating to the early 1970s.